I love hip hop about as much as I love the harmonica. There’s just something about a beat that is irresistible to me. That’s why I love it when I come across someone who has put together my two great musical loves. Today I found another one in a completely new and wonderful form. YouTube user Kent Valden has taken a Bust Rhymes song that has a decent beat to it and mixed in a sweet and simple harmonica riff to make a pretty awesome song. I’m hoping he won’t stop with this mix and will remix some more hip hop harmonica. Have a listen to his work and then, if you’re curious how awesome a job he has done, give the original a listen and see which you think is better. Show Kent some love in his comment section! Image credit goes to Kent’s friend (?) T.Hillergren. Whoever you are, I like your style! Thanks for the image. Hey and thanks for the nice words. 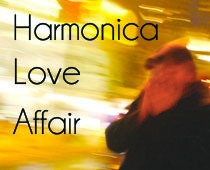 I will try to make more harmonica remixes.